Mike Norcia led the pledge. We had a wonderful Christmas performance by the RJ Fisher Middle School choir. 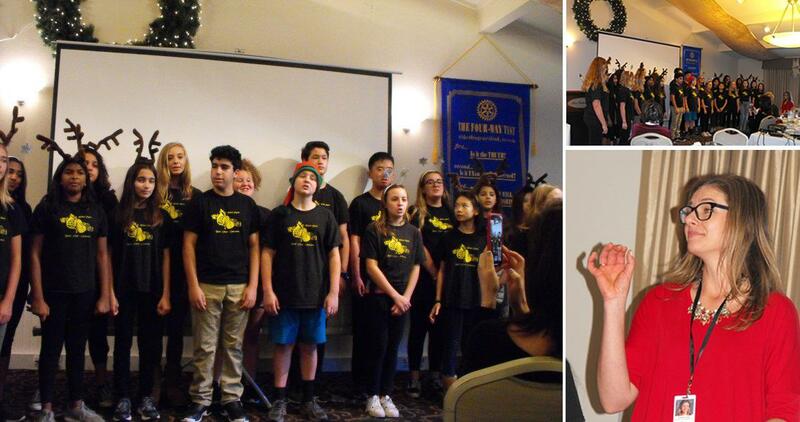 The “Sing” acapella choir brought lots of holiday cheer to the club meeting this week as they sang several Christmas carols and left our club feeling festive &amp; full of joy. Patti V. announced that tickets are now on sale for the CrabFest for $65 each. After January 10 th the price increases to $70 each. Tickets may be purchased online through our club website. Click here for more details! CrabFest will take place on Saturday January 26 th , 2019 at St. Andrews Episcopal Church in Saratoga. New Fischer principal Matthew Baldwin and his district staff visited our club for Tuesday's meeting. We also had our monthly birthday table. 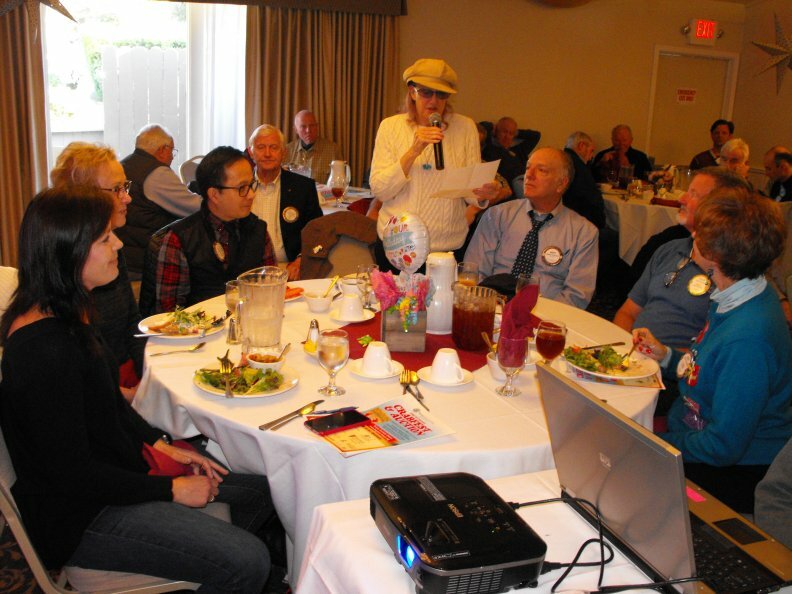 Andrea Lee announced all of our Rotarian December birthdays.